There is no one comprehensive indicator of child well-being. Instead, child well-being spans physical, social-emotional, and cognitive health and development. Since children do not grow up in a vacuum separate from parents or communities, a variety of factors influence overall well-being and long-term flourishing. How can teachers, administrators, researchers, and parents get a sense of how children are faring across such a range of domains? In our recently released South Carolina Early Childhood Data Report, the Institute for Child Success compiled more than 80 indicators regarding well-being of young children and their families, focusing both on access to services and programs as well as environmental factors impacting these families. Our report focuses on our home state of South Carolina, but also provides data on North Carolina and Georgia to allow for regional comparisons – and national level figures to give a sense of the overall picture for America’s children. Our “databook” benefits from a rich tradition of data-informed policymaking in the early childhood sector. Just the week before our publication was released, ZERO TO THREE and Child Trends released their State of the Babies Yearbook focused on children up to age 3. The databook’s indicators on early childhood education come from NIEER’s flagship State of Preschool yearbook as well as its pioneering State(s) of Head Start report. These sources, like the Annie E. Casey Foundation’s KIDS COUNT report, all help move the conversation on early childhood well-being out of the realm of academic journals and into mainstream media – contributing to early childhood education being regarded as an important issue with significant bipartisan support. Family environment: The median income for South Carolina families with children was $58,000 in 2017, almost 19% less than the US median family income of $71,400. Nearly a quarter – 23%- of South Carolina children under the age of 18 live in poverty – higher than the national rate (18%) as well as the 21% rate in both North Carolina and Georgia. Physical health: In 2017, 11.2% of all births in South Carolina were premature, which was slightly below the percentage of Georgia (11.4%) but higher than North Carolina’s (10.5%) and the national average (9.9%). Emotional Well-Being: Roughly 15.8 per 1,000 South Carolina, children have experienced some form of maltreatment, higher than reported rates in Georgia (8.6 per 1,000) and North Carolina (3.1 per 1,000). Compared to the national rate of 9.1 per 1,000, South Carolina’s children are suffering maltreatment at a higher rate than our nation’s children. 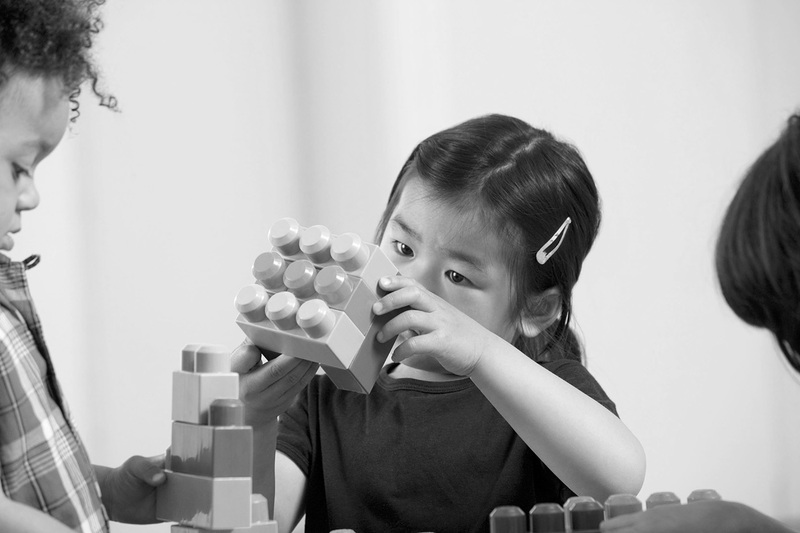 Cognitive Development: Head Start has very different student populations in individual states. More than three-quarters of Head Start participants in South Carolina – 78%– identify as black/African American, compared to 68% in Georgia and 46% in North Carolina. Nationally, this figure is just 29% . On the other hand, the rate of Hispanic student enrollment is lower in the region than the national average – just 10% of South Carolina’s participating children identify as Hispanic, compared to 17% in Georgia, 29% in North Carolina, and 38% nationwide. While our report focuses on South Carolina, we recommend it as a primer for all those working in early childhood regarding the status of children up to age 8 nationwide. It was particularly important in determining the indicators for the report to focus not only on the statistics related to families but also the systems in which they live. For example, it’s not enough to only report on obesity rates for young children, but important to also consider their environments which may limit access to healthy eating and exercise – such as the fact 27 percent of our nation’s young children live in neighborhoods with “detracting elements” such as litter on sidewalks and vandalism which may prevent families from feeling comfortable with outdoor play. We also report on differing outcomes by demographics for several indicators. For example, preterm births are much more likely for black mothers (13.4%) than for the U.S. national average (9.9%) or for the average across any other racial group. Babies born early are more likely to have a low birthweight, which is linked to a greater risk of suffering from a variety of health problems. Understanding differing outcomes across racial and ethnic groups, and the factors which contribute to those disparities, is essential to ensuring all children thrive. Throughout this report, the research team identified a number of data points of interest that could not be collected from sources allowing for cross-state comparisons. For example, our team was interested in the prevalence of Fetal Alcohol Syndrome in babies born across all four geographies. We could not identify a reliable dataset that measured this. We have reported on a related indicator (“mothers reporting alcohol during last 3 months of pregnancy”) to provide some context on the possible scope of this issue, but these indicators are not interchangeable. Discovering and filling gaps in statistics can help paint a broader and more useful portrait of child well-being in our stat and nationally. By providing a snapshot of how young children are faring in South Carolina and nationwide, we strive to inform statewide efforts to intervene early and effectively in the lives of children. However, we recognize this report can only be as informative as the data available. To be fully informed about the needs of young children and the outcomes of systemic reforms effecting changes in the lives of these children, we must ensure availability of reliable, valid, and appropriate data statewide. To this end, ICS recommends continued efforts toward high-quality and timely data collection concerning early childhood well-being – a role all early childhood organizations can help play. Megan Carolan is director of policy research at the Institute for Child Success. She holds a Master of Public Policy degree.